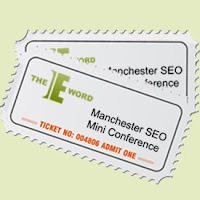 Win 2 tickets to the Manchester SEO Mini Conference! The inaugural Manchester SEO Mini Conference is sold out but we have two free tickets to give away. Tickets sold out long ago but we have two guest passes to give away to one lucky person. To enter, all you need to do is follow theEword on Twitter and retweet our #win tweet. The competition launches today and closes next Monday at noon – the winner will be chosen at random and announced later that day. This informal session is open both to delegates and to anybody that didn't attend but would simply like to learn more about SEO. It is completely free and there is no need to book in advance. Several members of theEword will also be on hand at Walrus Bar. Feel free to say hello!